Kitties on the Nile, will make you smile! Colourful limited edition cat art print, makes a wonderful gift for cat lovers big and small. 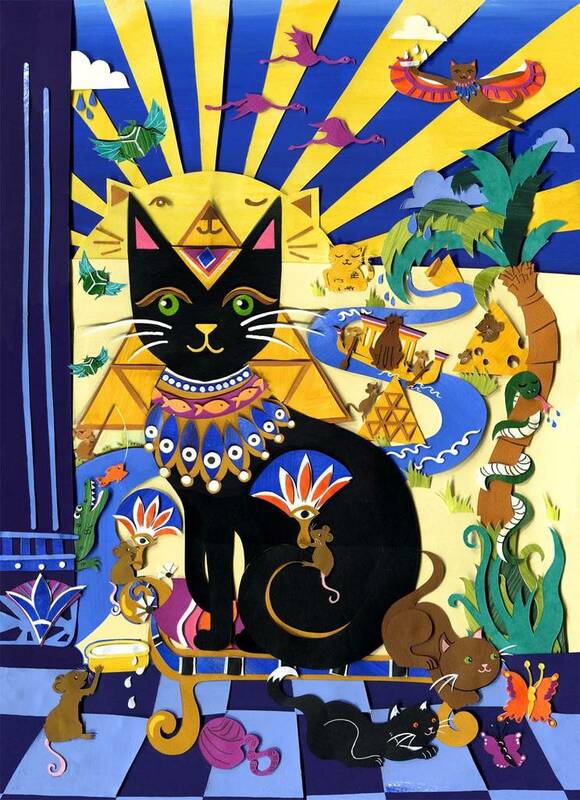 Journey back to Ancient Egypt with Carry on Cleo, in a time where kitties were sacred. 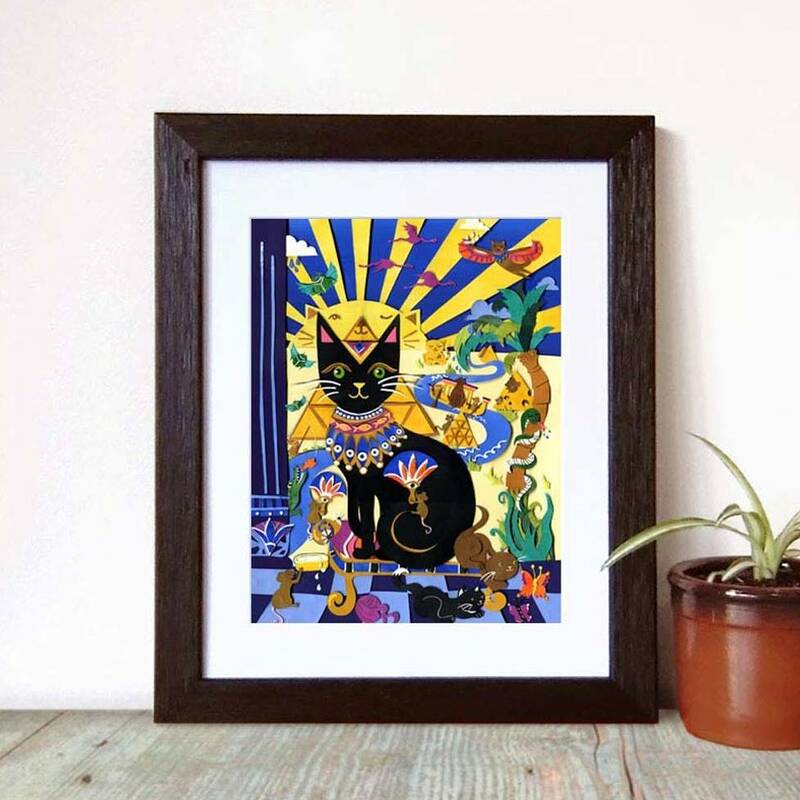 This cat art print features flying God cats, the super Sphinx, pyramids made of cheese, an army of mice serving tasty treats and Queen Cleo herself! Almost everything in the scene is a cat (or mouse!) even the sun.With it's bright colours and attention to detail, this piece makes a great piece of art for children or adults alike or a gift for cat lovers. The piece is a print taken from a paper collage. Signed limited edition print on Epson archival matt paper. Comes in off white textured mount complete with Certificate of Authenticity in protective cellophane bag. Print size fits standard frames. This product is dispatched to you by Vickysworld.